With the pressure seemingly building on Garry Monk week by week, so begins what is arguably the most important and most difficult run of matches in his short managerial career thus far. Monk and his men are in need of some points, which would start to repair and rebuild the confidence and belief that was so abundant in the first month of the season, but which has seemingly deserted them of late. Despite the disappointing draw with Bournemouth at the Liberty last week, Monk and his squad must have taken some positives from the game, having seen his side come back from two goals down and having made four changes to his regular starting line-up. It would be harsh to judge Leon, Kyle Bartley, Wayne Routledge and Eder purely on the basis of last week’s performance, particulary Eder who didn’t exactly get the service you’d expect for a striker. This service is also something which has been sadly lacking for Gomis and no doubt has contributed to him not having scored a Premier League goal since his last one – some 701 minutes! No doubt Monk will shuffle his pack again and try to stop the energetic Liverpool team his side now face – so Cork and Sigurddson are likely to return to the starting line up, along with Montero replacing Routledge. Bartley’s wobbly display last week is likely to see Fernandez return to the centre back berth. The Swans can once again boast a fully strength squad, with the only absentee being Liverpool old boy Jonjo Shelvey – who misses the game through suspension having picked up his 5th yellow card of the season last week against the Cherries. Although it sounds harsh, his absence might be a blessing for the Swans, as Shelvey hasn’t exactly had the best of returns on his previous visits to Anfield. 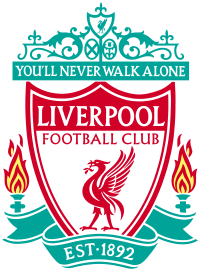 Liverpool on the other hand have some injury concerns, with Daniel Sturridge abd Philippe Coutinho both doubts, whilst Jordan Henderson is unlikely to start having only just returned to training. The Reds seem to have been rejuvenated under Jurgen Klopp and the Swans face a Liverpool side full of confidence in light of their Europa League progression in midweek and the 4-1 pasting of Manchester City at the Etihad last weekend. They look ominous opponents at the moment and a completely different proposition from the Liverpool side the Swans would have faced under Brendan Rodgers. History perhaps unsurprisingly is on the side of the Reds, with Klopp’s men having won eleven and lost none of their last 14 league meetings with the Swans at Anfield, whilst on average scoring at least 3 goals! It really is backs against the wall time for the Swans and if the media are to be believed, then the next 4 games are crucial – for Monk’s job perhaps rather than the Swans season. The fact that Liverpool are flying (relatively) high at the moment might actually work in the Swans favour, as lets face it, no-one really gives the Swans a hope in hell this weekend. We’ve been here before and with the boys in black and white usually playing better against the “bigger” clubs, then don’t be surprised if the Swans do come away with a point this weekend. Fabianski, Naughton, Fernandez, Williams (Capt), Taylor, Ki, Cork, Ayew, Sigurdsson, Montero, Eder. Some might argue that only a brave man or fool would bet on a Swans win, but Skybet will give you odds of 6/1 on the Swans to take all 3 points if you do fancy their chances. If like us you can see the Jacks grabbing a point, then you’ll get odds of 18/1 on a 2-2 draw – now that’s tempting! Although if you reckon the pundits have got it spot on with a Liverpool win, then you’ll get a 3-1 Livepool win at 9/1.